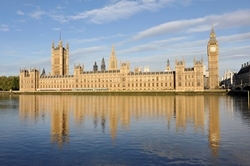 Lawmaking in the UK is about proposals being made by the Government and finally being passed by Parliament. Proposals from the government are aimed at shaping a better society or to address specific issues and problems. Laws come to the government’s attention originally because of the different political parties competing for support from the British voters. They will campaign about their visions for the country, setting out how they would go about changing things. The winning political party is the one that forms the next government, basing its legislative agendas on what its manifesto is. A proposal will really only go further when it is backed by a minister of the government – a minister in a position to champion a certain idea to his colleagues in government. Still, this won’t guarantee that with a minister’s backing, the idea will get to Parliament; this requires consultation with other experts or interest groups, etc. The cabinet ministers should all agree that the proposal will go forward. The proposal is debated in the cabinet committee meetings. These consist of ministers all across government and are chaired by a top member of the cabinet. The proposal must have been chosen by the committee responsible for creating the legislative programme of the government. It is this legislation committee that makes the final decision on whether the proposal will go to Parliament for further scrutiny by the other members and be turned into new law. After approval, the minister who was responsible for drawing up the proposal will give instructions about what should be in the Bill. Top lawyers who are very highly skilled (called the Parliamentary Counsel) will translate the new Bill and its principles into detailed legislation. This Bill, along with others, will be introduced by the government at its parliamentary session. It will be proclaimed in the Queen’s Speech. This is the top feature of the State Opening address which opens a new Parliamentary session. Parliament considers the bills that government introduces to it. First reading: The title of the Bill is read out and the Bill becomes available for all members of Parliament. Second reading: Members of Parliament (MPs) discuss the top principles in the Bill, with MPs being allowed to vote at the end of the second reading; especially if the Bill is contentious. In the House of Lords, though, this Bill will pass to the next stage without this voting. The Committee stage: The Bill is checked line by line by the MP Committee. Changes will be proposed and voted upon. In the House of Commons, the Bill Committee will consist of about 20 MPs, but in the House of Lords, the entire House will take part. The Report stage: Now the Bill, with the changes, gets reported to the House where all members will review the changes. Further changes might be suggested as well. Third reading: The MPs will then debate on the Bill and vote on its final format. In the House of Lords, further amendments might still be made. If the Bill started off in the House of Commons and is approved, it will be sent to the House of Lords to go through similar stages. If amendments are made, it goes back to the House of Commons, where MPs will consider the amendments made by the House of Lords. Both houses need to agree on the final form of the Bill before it eventually becomes law. The Bill then becomes an Act of Parliament (statute), receiving formal approval from the monarch. This is called the “Royal Assent”. The monarchy always gives their approval on advice received from the ministers. The law might come into immediate effect after the Royal Assent or after a set time or maybe only after a Commencement Order. If there is no Commencement Order, the Act comes into effect at midnight, starting from the day of the Royal Assent. It is the government’s responsibility to implement the Act, not Parliament’s.